Join director and filmmaker Craig Dudnick for this FREE screening of Alice’s Ordinary People. After the film screening Dudnick will share how he came to make the film and answer questions. 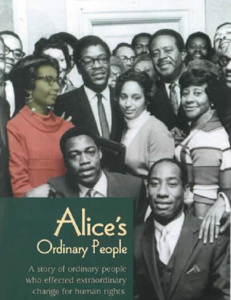 The film explores the life and times of Alice Tregay, a fifty-plus year Chicago-based Civil Rights activist, and the ordinary people who made extraordinary change for human rights.